Sanjay Shah '89 presents a symbolic check to Lehigh President John D. Simon ’19P and Georgette Chapman Phillips, the Kevin L. and Lisa A. Clayton Dean of the College of Business and Economics. Shah's $5 million gift will name the new Vistex Institute for Executive Learning and Research. 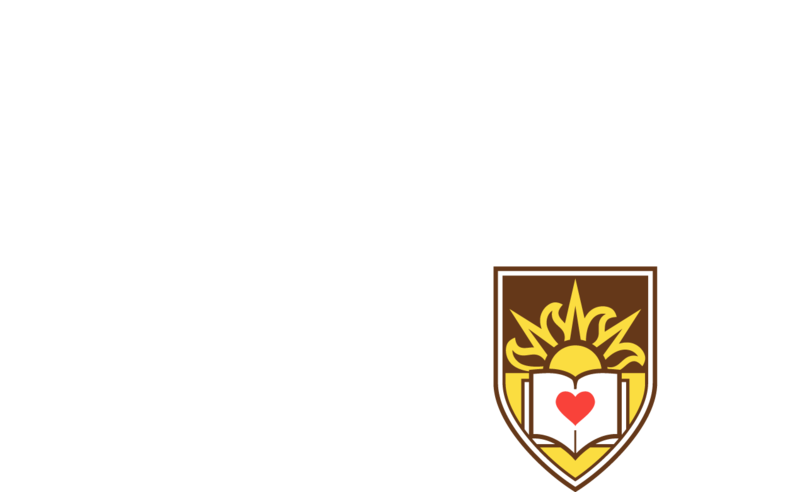 Lehigh University alumni are known as entrepreneurial, focused, and hardworking, with a reputation for not just dreaming and thinking, but also taking action. Chicago-based CEO and entrepreneur Sanjay Shah ’89 MBA embodies this Lehigh ethos, grounded in the belief that only a combination of vision and action can bring about change. That’s why he combined the words “vision” and “execution” to name his global software company Vistex, Inc. And that’s why he gifted $5 million to Lehigh to elevate executive education in the College of Business and Economics and name the Vistex Institute for Executive Learning and Research. On September 14, accompanied by President John D. Simon ’19P and Georgette Chapman Phillips, the Kevin L. and Lisa A. Clayton Dean of the College of Business and Economics, Shah unveiled the symbolic check to applause from Lehigh students, faculty, and alumni at a ceremony marking the occasion. Phillips introduced Shah at the event, describing how executive education at Lehigh has flourished since its 2015 launch. She said the program has been carried forward by a vision of becoming a premier learning partner to industry and business in the Lehigh Valley, as well as nationally and internationally. Simon also expressed his gratitude to Shah. "It is Sanjay's passion for learning and for encouraging others to learn that inspired his support of executive education and the Vistex Institute at Lehigh." Shah spoke about his pride in Lehigh University. For him, the gift is a way to encourage lifelong learning in others. Shah, who is from Mumbai, enrolled in Lehigh’s MBA program inspired by the can-do attitude of alumnus Lee Iacocca ’45. He initially went into accounting after graduating from Lehigh with an MBA in 1989. He went on to work for General Motors and German software company SAP before going out on his own. Humble and reserved, Shah has focused more on moving his endeavors forward than pursuing the spotlight. His under-the-radar status is changing, however, as Vistex grows. At present, Vistex is a worldwide operation with 20 offices, 1,300 employees, and an impressive roster of clients, including Apple, Walmart, 3M, Turner, Dell, and Bayer. He is also a member of the College of Business and Economics Dean’s Advisory Council at Lehigh. Shah, who describes himself as “an accidental entrepreneur,” is widely known as an avid, lifelong learner, constantly adding to his skill set. For his first job for SAP, Shah not only became fluent in the German language in just three months, but learned how to code software in German as well. Another example: An aviation enthusiast since he was a young boy, Shah put his obsession to the test by later obtaining his pilot’s license in his later 20s. Shah took time before the gift announcement to meet with Lehigh leadership and faculty and to share advice with executive education students. The students said they were inspired to meet such a successful leader in business who had learned in the same classrooms they are using now. Phillips said the Vistex Institute for Executive Learning and Research is envisioned as a go-to resource for comprehensive educational solutions for managers and executives, which also harnesses the practical and real-world approach to education, a hallmark of the College of Business and Economics. The institute bears the name of Vistex, Inc., to represent Shah’s belief in combining vision and execution to bring about change. David Welsh, Lehigh’s executive director for executive education, said also incorporating the words “learning” and “research” into the name speaks volumes about the institute’s trajectory. Shah described the gift as a “game changer” and pledged to be a continuing partner in executive education at Lehigh. “This is the type of gift that I believe will keep on giving and make a very positive impact on the university, its standing, and its place in the world. I’m less interested in having something named after me or my company. I’m more interested in seeing something prosper. I am looking forward to the continued success of exec ed and our institute,” he said. One of Lehigh’s partners on a customized executive education program is the Lehigh Valley Physician Group. Michael Rossi, M.D., MBA, president of the group and chief physician executive of the Lehigh Valley Health Network, commented, "Working with Lehigh University Executive Education, we designed and developed a highly customized educational program for our physicians. We all understand the many challenges that the healthcare industry faces on a daily basis and want our physicians to be fully prepared to meet these challenges. Our physician leadership program will help our physicians lead and manage more efficiently and effectively, helping to drive patient care that exceeds expectations." In addition to the newly branded executive education program, the College of Business and Economics boasts nationally top-ranked undergraduate and part-time MBA programs, an innovative one-year MBA, an array of graduate degree programs, and a number of joint/dual MBA programs. Lehigh’s collaborative and cross-disciplinary curriculum is enhanced by research centers and institutes that provide students and faculty opportunities to work and research collaboratively on real-world, relevant business issues. These include the Center for Supply Chain Research; Dexter F. Baker Institute for Entrepreneurship, Creativity & Innovation; Center for Financial Services; Martindale Center for the Study of Private Enterprise; Murray H. Goodman Center for Real Estate Studies; and Small Business Development Center. Executive education is “a great catalyst for lifelong learning,” Shah said. Shah met with Lehigh leadership and faculty and shared advice with executive education students prior to the gift announcement. Click here to see more photos. Vistex is a pioneer in helping global organizations better deploy their products and services through Go-to-Market programs. By powering business processes and supporting direct, indirect, and multi-tiered sales models, Vistex offers the foundation for aligning all market participants and enables superior decision-making. Deployed on-premise and in the cloud, with its leading-edge software and services, Vistex serves businesses of all sizes worldwide across a spectrum of industries. With an unwavering commitment to its clients, the world’s best run organizations choose Vistex to ensure Go-to-Market program success: from inception to insight.